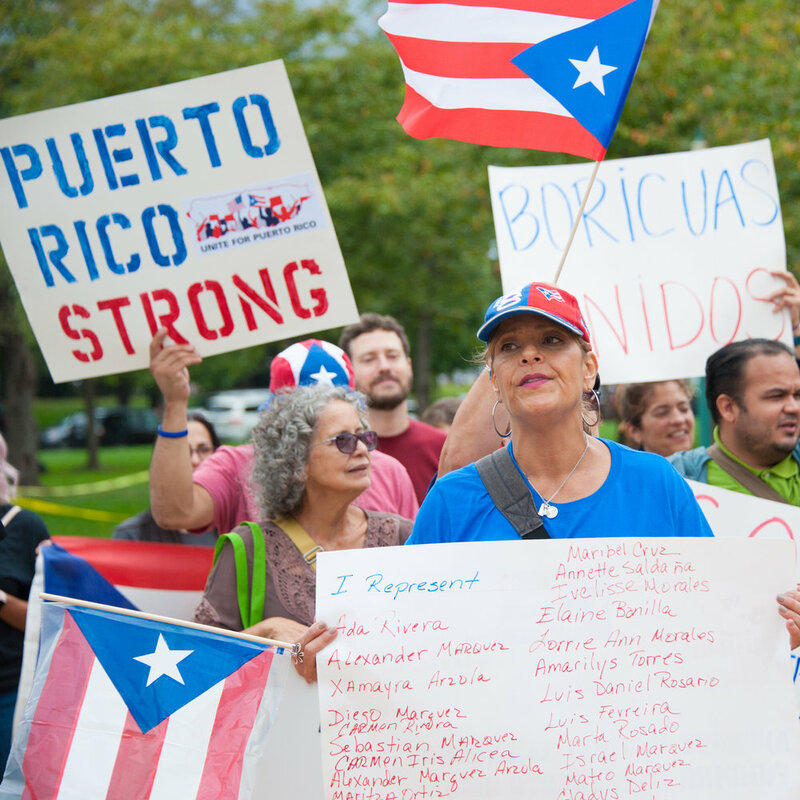 Families displaced by Hurricane Maria, interfaith clergy, community organizers, performers, special guests and YOU. Locations across the country, with a focus on: The White House in Washington, DC; Trump Tower in NYC; and the Trump Resort in Mar-a-Lago, Florida. Bring candles and posters with photos and numbers of lost loved ones. Poster images are also available for download here. We encourage individuals to dress in black for the DC and NYC events and in white for the Mar-a-Lago event.